Primal Fear is one of those German bands you can always rely on. Every two years they bring out a new album, followed by intensive touring. The musical style is firm traditional heavy metal in the vein of Judas Priest, relished with the good oiled voice of Ralf Scheepers. In August ‘Apocalypse’ came out, their twelfth studio album since their inception in 1997. For this occasion we had a debonair conversation with bassist/producer Mat Sinner. It is already the twentieth anniversary of Primal Fear. Did you start with a special plan for this record or did you have other plans to celebrate that? No, we just had cool ideas for new material. We already have a live album on blu-ray, we already have a best of, it was time for new stuff. With all this touring during the last six, seven years, there were a lot of new ideas and impressions to write new music. And we were glad with the new songs we had written, so when we had a break from touring, we decided to record them. The last album ‘Rulebreaker’ was a big success, so there was no reason for radical changes. We were not planning to make big changes. It was just fine to follow the path we were on from previous records and bring in small details or do something a bit different from the things we have learnt in the past. Mostly people who get the album for free – journalists and so on – say about Primal Fear: no surprises and things like that. Well, the point is: firstly we are making music for ourselves, the music we like to hear. Life can be very tough if you go out and we have to believe in what we are doing. That is the most important thing and the second important thing is our fans. We have the best feedback on an album now in a long, long time, so I think we are on the right track. I think it is a good thing that the album came out in the Summer, so people have a little more time to listen to the new album carefully. Not only in Germany and France, even in the charts in Switzerland and Belgium we are this time. I think that never happened before. And in the UK. It is always tough to get in the charts in the UK for a German band, but this time we did. Japan and Canada is good. The band has a worldwide following and it is nice for us that we have fans everywhere. Maybe that is because we have toured a lot in the last seven years and the good thing is that we play energetic and exciting shows. I can say that the band is in great shape at the moment and it makes me very happy when we go on stage and I notice that. He is in good shape indeed and also his communication with the fans has grown through the years. I think we are getting better and better. So I think it paid off now that we had so many live shows. We had such a good feedback on our last shows. Recently you played in Sweden at Sabaton Open Air. What are your memories on that happening? Yes, Sabaton Open Air. It was the first time for us that we played there and we had such a wonderful show. The thing was we had three shows at that weekend. We pulled a whole bunch of T shirts with us for those three fests, but at Sabaton Open Air they were already all sold. This is best sign that people liked it, if they want to give some money on our merchandising. It is a great festival, the guys of Sabaton are lovely and it was very well organized. A wonderful experience! And what about 70,000 Tons of Metal. Was that a special event? Always. It is always something special. This time we celebrated our twentieth anniversary and we were chosen as the band to open up this festival. So we played to a super packed place. People could not even get in anymore, because it was so packed. The atmosphere on that ship was great. We did it two times until now and last time it was cool for us that we already knew what to expect. This time the title ‘Apocalypse’ and the lyrics seem rather dark, in contrast with the music of Primal Fear which is rather uplifting and heavy and sturdy. Do you agree with that? Partly. For us the point was that we are living in times dominated by rough language, stupid leaders and instead of partnership, there is talking and corruption and war. I think it was not the right time to write eleven love songs (chuckles). So it was a natural thing to write lyrics which are reflecting some of those things. We tried to do it this time, if people don’t like it, well okay. You can make friends and enemies with your lyrics. When you travel around the world as a band, in some way you also have a responsibility to be aware of what is happening. We are on such a nice planet with wonderful places and if you put on the news you get scared about everything you see. This is not a nice thing. I think you managed to make people think a little bit, without falling into a bunch of proper protest songs, since that’s not the reason why people are coming to a show I guess? Yes, it is not our intention to write songs directly about specific people, this is stupid, but overall we tell the view of the band and us in a very special way. You can make your own picture of it. You can agree with us, or maybe not. One song that instantly leaps to the eye is the eight minutes long ‘Eye Of The Storm’. How did this one come into being? We are very ambitious musicians and so for us it is a kind of musical challenge to write a song which is nine or ten minutes long. For us it is really important to have musical freedom and do some extravaganza. One song on every album should be really special and stand out. It has still the roots and the groove of a proper heavy metal song, but in the middle section it has those twist and turns and becomes rather progressive. For us it is a special challenge. It is a musical journey and we want to keep that part of Primal Fear. Both the long tracks and the catchy short ones are a part of Primal Fear, but for us as a musician it is necessary to have some challenges. We like to play compact songs as well as the long ones. You always record at the Hansen Studios with producer Jacob Hansen. What can you tell about the recording process? Any things you did differently? No, the point was that we are doing a very detailed preproduction. We spend a lot of time on it And I go with Francesco, the drummer, to the Hansen Studio of Jacob Hansen. He has a very good room to record drums. The drums are very important, they are the foundation of the record. Otherwise it is very, very hard, even with the best guitars in the world, to get a good sound. We worked very hard on the drums. Then we recorded the guitars in Sweden and in France. We were doing bass guitar and the vocals in Germany and when we had everything together we went back to Jacob in Denmark to mix and master the album. How did you ever get into production work in the past? The point was I was working with a lot of very well-known producers and sometimes I really was not happy. They asked a lot of money, the do the project and then they go to the next band. When the album is ready they go to the next band and produce the next band. I was not happy with it. So I started to learn it and tried to produce things all by myself and that was the reason I was doing it. I learned it from point zero and now people ask me so much things to produce that I cannot do everything. 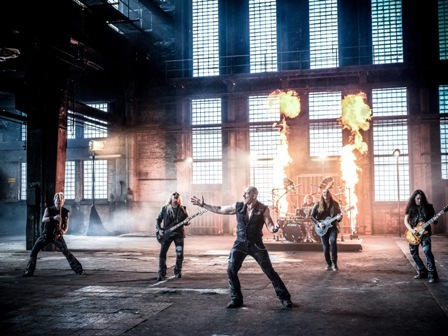 Primal Fear is a bunch of really experienced musicians… almost everybody active in other projects. A blessing or a curse? Yes, we have the benefits now from the fact that everybody in the band reacts in a very professional way. They really know how to focus on those things and for me it is better that there is a democracy and everyone is going in one direction. Internal I am absolutely not the guy with the last decision. Sometimes I have to make decisions though. Tell me, Nine Lives Entertainment. Will that change anything for you or open new perspectives? Well, I think a good booking agency is important for every band. We have been now four years with Rock The Nation and now they split up and we chose for none of these. We were looking for a new agency and got some good offers. We decided to go with Nine Lives because they have a lot of experience, we have known those guys for a long time and they have a lot of good bands on their roaster. I think we can have great expectations, but as always, only time will tell. Yes, it is the same all over the world. Sometimes more people, sometimes less. Overall I think for us, it is a very good situation. Where ever we are, in Sao Paulo, in Sydney, in Tokyo… we have a good following. It is a solid job and we like it. The next tour will be with Riot V. Does it bring up any memories from the eighties for you? No, there is no personal connection. We will play for the first time together. I hope it will be good and friendly, but we will see. I never met these guys, so I don’t know them. The music is cool. I think it will be a good tour for both bands. I guess with all those bands and production work, you can live from the music? Well, there are not so many bands. I focus on Primal Fear and when I have free time I do Sinner or produce another band. The third thing I do is the Rock Meets Classic project where I am involved in for ten years, every year in March or April, involving rock artists and classical musicians in a symphonic orchestra. We invite the classic rock singers as guests. This is a wonderful tour and a wonderful challenge every year. These three things are my main targets. The rest of the time I am producing an album from another artist now and then and writing songs. So we have the European tour in October and in November you will tour in Japan and Australia. Any other tour plans you can reveal? 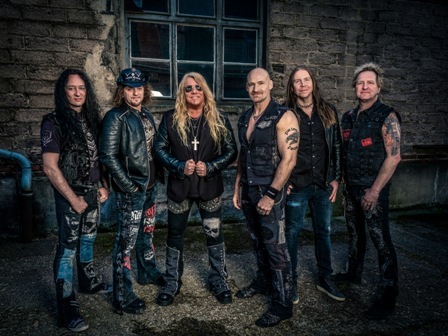 I play two more shows with Sinner in December and I play two more shows in December with Primal Fear in Germany. Mid February I start to rehearse for the Rock Meets Classic tour. It is a big arena tour in Germany. We have Ian Gillan, we have Thin Lizzy, we have guys from R.E.O. Speedwagon. It is our tenth anniversary tour and it needs a lot of work. This is a production on high quality level. For me it is wonderful to play with those guys and have a symphonic orchestra involved. Very cool thing.